Looking for quality industrial painting in Brooklyn, New York? Local companies trust the skilled industrial painting crews at Amazing Detailed Interiors for industrial painting in Brooklyn, NY. Serving the business community since 1987, Amazing Detailed Interiors offers industrial painting, refinishing and sealing for Brooklyn clients of any size. Our highly skilled painters have completed industrial painting projects across NY for many years. Amazing Detailed Interiors works with well-maintained equipment and high quality painting products for a lasting finish. Brooklyn businesses strive to present a clean, professional face to their clients, and the skilled painters at Amazing Detailed Interiors can help. Let Amazing Detailed Interiors help your Brooklyn firm stay within the renovation or maintenance budget with professional service at affordable rates. 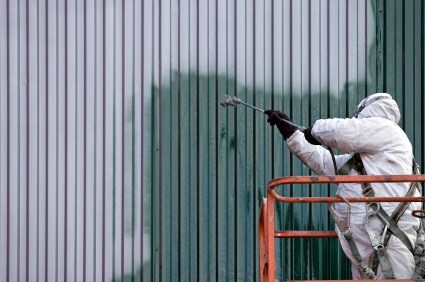 We provide all levels of Brooklyn, NY industrial painting services and strive to remain competitive with other Brooklyn industrial painting companies. Compare and discover the value that Amazing Detailed Interiors offers to local businesses, freshening up industrial spaces, structures and equipment. Each Brooklyn industrial painting project is handled with care, starting from initial analysis and preparation, through to application and final clean up. Customer satisfaction is always our top priority. Local references are available, and our industrial painting work can be seen in various facilities across NY. Amazing Detailed Interiors provides professional industrial painting services with fully trained painting crews who are dedicated to customer satisfaction. Serving the painting needs of the local community, Amazing Detailed Interiors remains the leading choice for industrial painting in Brooklyn, NY. Call (646) 680-0087 today for more information.